nothing beats the warm sunshine, soft sand, sound of the sea wave, and of course relaxing down while enjoying all of them after doing some work. 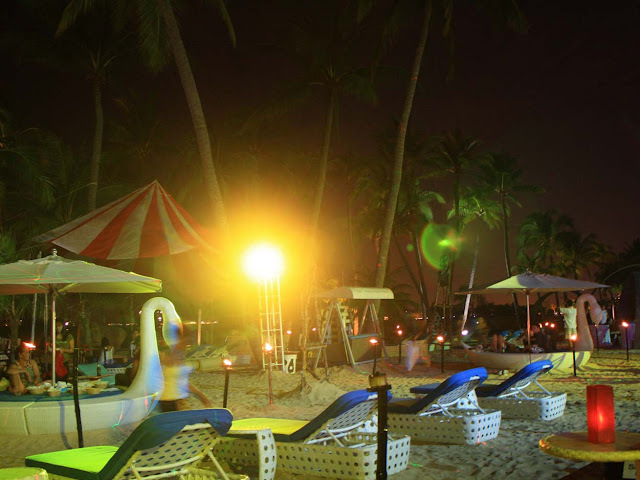 and head to the Azzura Beach Bar for dinner at night. awesomeness! they have the best tom yam soup! seriously i dont lie! also very good lighting , also have laser lighting, and upbeat music! Oh well, i find that facebook is getting boring and in some cases, annoying. It makes me crazy. I decided to not opening it too often, just having a break from it. and once i online from laptop yesterday, the disturbance is coming again! so this time im not gonna open it for quite some time. to contact just tweet me here instead or email or just simply leave comment on latest post. Great getaway si much in love with the shot fhen, good job! you look have lovely time in there, great photos! these are such nice pictures!!! palawan beach itu deket siloso sana yah fhen? The foods...look amazing...make me hungry right now..ahahahaha...nice photos..
Btw, where is Azzura Beach ? awww...looks like a beautiful place. the sunset is so inviting! lovely pics of your beach getaway :) fantastic shots of the beach and yumminess for the foods! no still waiting on my guy to plan it! I'm so jealous. It's snowing outside here as I write this. cant wait to get away! i need stripes like yours! Omg, I've missed you, dear! You are so beautiful - you look like a model =) I LOVE these photos - that beach, those clothes, and that food... I'm so jealous! that looks so great. i'm sitting on the edge of my seat drooling to go there. you look pretty dear. aku baru blogwalking lagi nih, setelah sekian lama, hihihhi. yeeeees im looking forward to it! and thankyouu. aaah fhen, finally a new blog post from you! 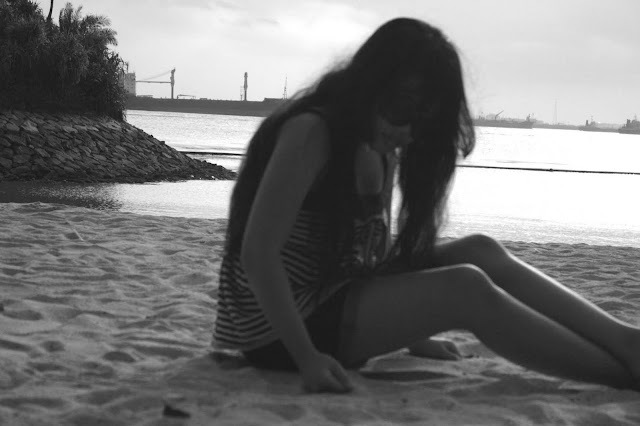 i love beach to the last bit, which also explain why i love sentosa, esp. with the RSW, right? <3 you look so lovely! nice shoots as well, esp the last one. is azzura a good place? i always stick to cafe del mar! we should arrange a meet up asap! Looks like you had lovely day:)I love the beach.I follow you now and i ll add your log to my blogroll.Have a fab weekend! I need a beach getaway! pretty pictures. those steve madden wedges rock. ***would love it if you considered following mine! What a super cute nautical outfit! Looks like you're having so much fun!!! I loved these beach pics! yes, i wish i could meet u too! btw, ci are u indonesian/singaporean? beautiful photos, i love the sunlight. & no idea what i'm doing valentine's day haha. my boyfriend & i are going out but we're not sure where yet haha. you make me want to live in the tropics! the backdrop is gorgeous and now I'm craving a shaved ice, Stripes is one of my favorite patterns as well. your sandals in the beach picture are really cute! Beautiful photos! This looks like a grand time! amazinggg photos ! i am actually SO jealous ! tenqiu for ur lovely comment in my blog! You look fantastic...I want the beach! Aww so beautiful! 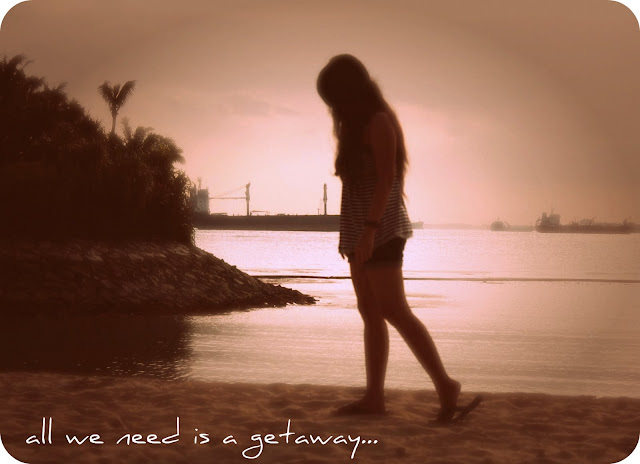 You make me wish for my own getaway too!! You are so right and I'm sooo envious! Going to Berlin this week were it's freezing. Personally would prefer the beach - but your beautiful pictures are a treat! I love your outfit! It looks like you're having a wonderful time. your outfit is so adorable and food looks so yummy too! looks like so much fun! great pics. great post, love the stripes. It looks so lovely there! I adore your wedges. And shave ice? Yum! love your blog..i'm folow you. LOVE YOUR NAUTICAL THEMED OUTFIT. Love your beach look... especially the shoes! Ahh, I wish it was this warm over here. And as usual all your food pics are very tempting! i just woke up and was squinting to see the screen due to major bed-eye blurriness haha. but then my vision focused! i love those shoes! the strappy ones, they're so cute! I love your wedges, they're so pretty. These beach pics are so lovely, jealous of your gorgeous weather! I simply love these pics. Congratulations! I passed an ward onto you in my blog. Come check it out! i'm obsessed with kakigori. ate a ton of it in japan. gorgeous photos! Award to you on my blog! ahh... nautical, beach, sunbathing... seems like so much fun! Those pictures are magical! I love them, and your outfit looks so cute! iya capek bgt tuh beresinny sampe encok gw hahaahha. 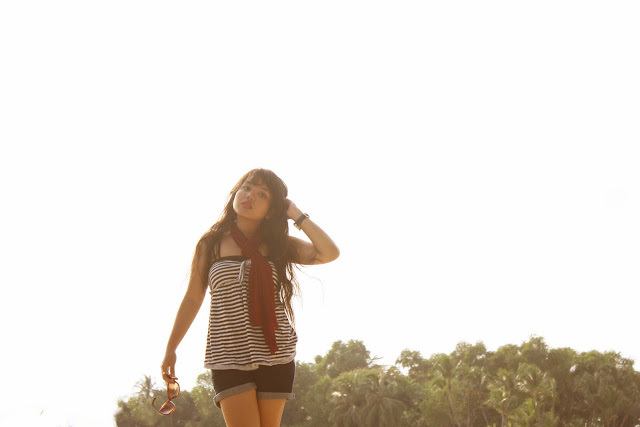 iya nih next time yahh ntar summer pulang indo lg donk pasti? nah pas itu kita bertemu lg. balik ke sg kapan fen? iya kenal, felicia brg lu yah disana? jesslyn kenal dr mana fen? dy satu kampus tuh sama gw. kita seangkatan kan yah? Oooh I so need a getaway now! OKAY FINE. IT'S NOT WORKING. I'm only a LITTLE jealous! Looks like you're having bundles of fun and the pictures are AMAZING! wow .. many good photos. I most like to photograph the front page to the Azzurra Beach Bar for dinner. best regards. lovely pictures fhen !! hope we can go to the beach someday. hehehe. ohhh those foods make me starving. ckckck. Passed on an award to you--- the 'Happy 101'.